A few weeks ago, the agents at Willamette Intl Travel teamed up with our friends at the Portland Floral Institute. We spent the evening weaving wreaths to benefit Our House, a local AIDS hospice. It got us in the mood and since then we’ve just been really excited about the winter holiday season! Bodhi (Dec 8) – Buddhism. Buddhists believe that Buddha achieved Enlightenment on this day. Many cultures celebrate this day differently, but modestly: studying the Dharma, eating cake and tea, or performing kind acts toward others. In Japan, Zen monks stay up the entire evening before meditating and studying sutras. Photo by Scott skpy. Creative Commons. Hanukkah (Dec 8-16) – Judaism. Hanukkah is the Festival of Lights that commemorates the rededication of the Holy Temple in Jerusalem in the 2nd century b.c.e. 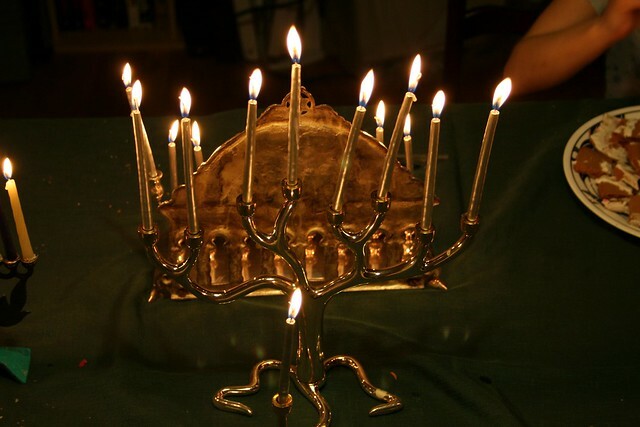 Jews observe the holiday by lighting the menorah candelabrum—one candle on each of the eight holiday nights. Other common traditions during this time are the eating of latkes (potato pancakes) and sufganiyot (jelly donuts), the spinning of dreidals and gift-giving. Saint Lucia Day (Dec 13) – Scandinavia. This is aScandinavian holiday honoring the Catholic Saint Lucia. St. Lucia (283-304 c.e.) is the patron saint of the blind, who died a martyr during the Diocletian persecution. On this day, one girl is elected to portray St. Lucia and dons a white gown, a red sash, and a crown of candles on her head. She leads a procession of similarly clad girls and sings a haunting melody known as Sankta Lucia. Kwanzaa (Dec 26-Jan 1) – African American. Kwanzaa is a week-long celebration that honors African heritage in the United States. It was established in the 1960s as a means for African Americans to reconnect with their cultural heritage and celebrate the seven moral principles of unity, self-determination, collective responsibility, cooperative economics, purpose, creativity, and faith. Kwanzaa is often celebrated with a feast, gift-giving, libations, colorful decoration, the wearing of kaftans by women, and musical and dance performances. Hogmanay Street Party in Dornoch, photo by John Haslam. Creative Commons. Hogmanay (Dec 31) – Scotland. 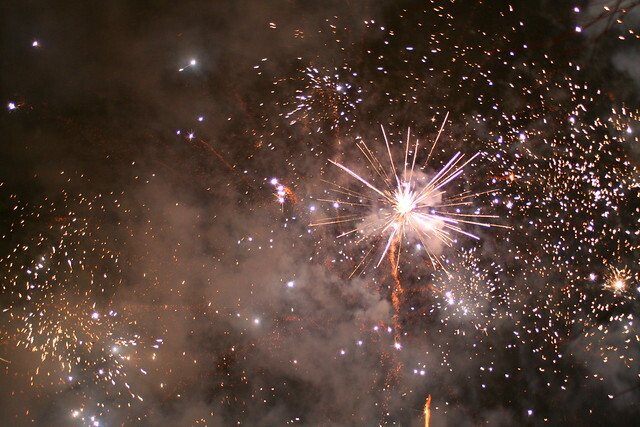 Hogmanay is the Scottish New Year’s, celebrated with traditions that stretch back centuries. Some historians believe that the festival was passed on from the Vikings’ celebration of yule. Traditionally, pieces of mistletoe, juniper and holly would be placed around the house to ward off mischievous spirits, and a rowan branch would be set above the door for luck. Nowadays, it is customary to clean one’s house to welcome in the New Year. Nighttime is a time of festivity, feasting, and socializing. The city of Edinburgh celebrates Hogmanay in style—with firework displays, a torchlight procession, and massive bonfires. Saint Basil’s Day (Jan 1) – Greece. The celebration of St. Basil in Greece originates from the 4th century, during the time of Basil the Archibishop of Caesarea. According to tradition, Basil was a major establisher of the eastern monastic lifestyle, promoting community life, manual labor, liturgical prayer, and the care of the poor and underprivileged. On the evening of St. Basil’s Day, many Greek homes bake a special cake with a coin hidden inside. In the evening, just before midnight strikes, all the lights are turned off for a minute to signify the dawning of a new year. The cake is then cut: one slice for St. Basil, one for each family member, and the largest slice for all the poor people in the world. There are of course many more winter celebrations, but too many for us to fit here! Want somewhere special to spend your winter weekends? How about the Triple Creek Ranch in Montana? 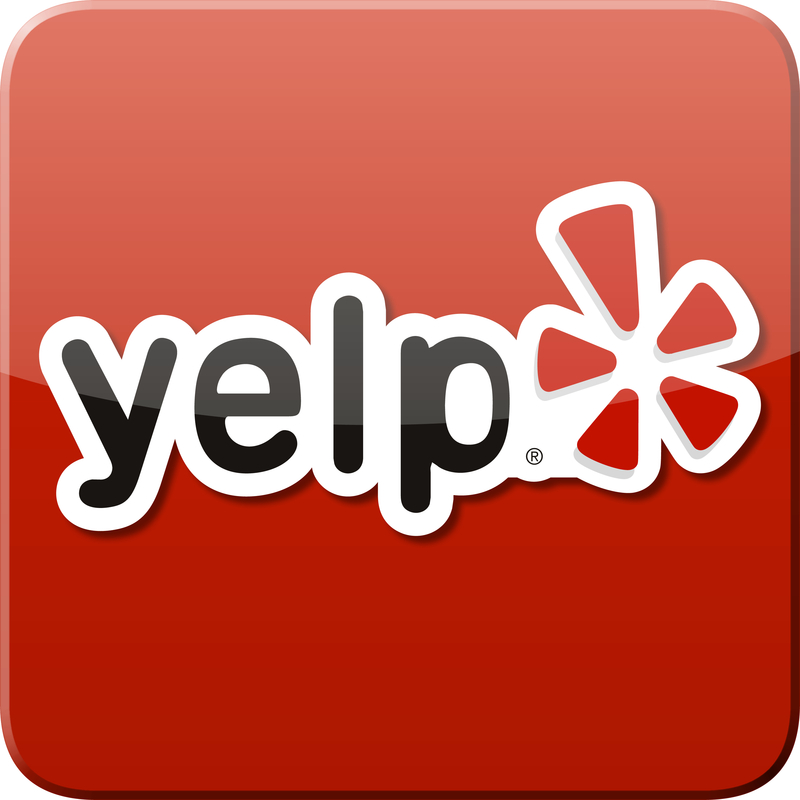 See more details on our blog’s right sidebar or call us up for a chat!